#KonaTop3 Predictions Competition 2016 - The Winners! 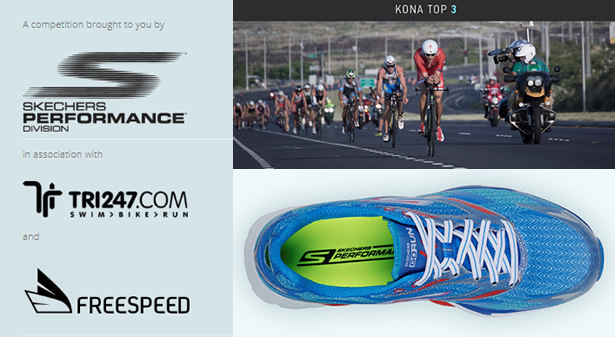 Following the excitement of the Ironman World Championships in Kona, Hawaii, it's time to announce the winners of our KonaTop3 predictions competition, run in conjunction with Skechers Performance and Freespeed. Entrants had to predict the top three finishers, male and female, and also - in the event of a tie break - guess the time of the first athlete across the line. Three points were earned for picking an athlete in the correct finishing position. One point for correctly picking a podium finisher, but in a different position. So, a maximum possible score of 18 points for correctly selecting the men's and women's top three in the correct order. Which, for the second year, nobody managed to do! Tim was one of a large number who also scored 12 points, but his race winning prediction time of 8:07:23 was the closest - just 53 seconds out - and so Tim earns second place. Daniel earns third place from the large group of entrants who finished on 12 points, courtesy of his finishing time prediction of 8:05:10, which was just 00:01:20 away from Jan Frodeno's winning time this year. Ed, Tim and Daniel will win the following great prizes - we'll be in touch very soon! 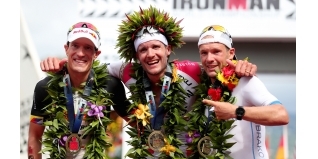 Over 75% of you selected Jan Frodeno as your men's winner, with 59% picking Daniela Ryf for the women's victory. They both delivered in some style on their pre-event favourite status. A big "thank you" to all of our entrants.